Cash flow is the lifeblood of any healthy business, and delayed payments can cripple SMEs in fast moving, competitive industries. Business owners are caught in a constant balancing act to manage incoming revenue and critical outgoing expenses such supplier payments and employee's wages. 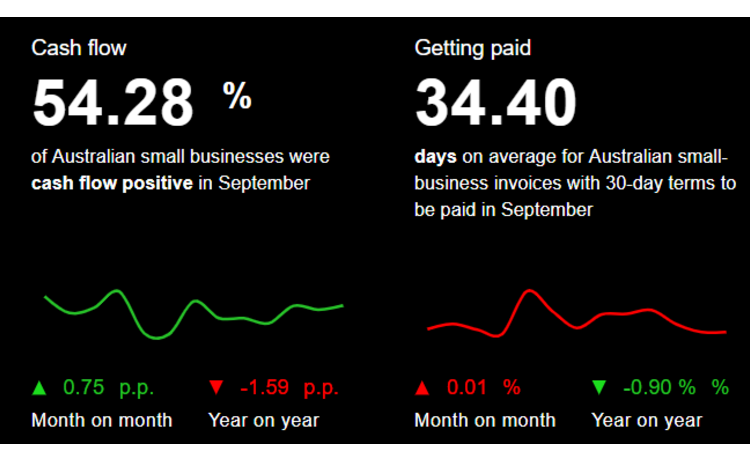 According to Xero's Small Business Insights Tracker, only slightly more than half (54%) of Australian small businesses were cash flow positive in September 2018, while it took an average of 34 days for small business invoices with 30 day terms to be paid. Cash flow issues are also major inhibitor to growth, In its latest 2018 SME Growth Index report published in March, capital provider Scottish Pacific reported that over 90% of Australian SMEs indicated cash flow issues prevented them from growing their business and top line revenue. In a speech to the Business Council of Australia last week, Prime Minister Scott Morrison announced the government would be forcing Australia's 3,000 largest businesses to reveal their payment term data for small businesses, in an effort to prevent SME revenue from being used 'as a bank'. Those large businesses would then need to commit to paying SMEs within 20 days in order to be eligible for future government contracts. In addition, the Prime Minister pledged to slash the government's own payment times from 30 days to 20 days for invoices under $1 million by July 2019. Further, the government also plans to set a 35% target for all government contracts to be filled by small and medium sized businesses. Small businesses such as retailer Just Bedding have welcomed the initiatives to improve their cash flow. Payment term initiatives are likely to remain high on the agenda for the federal government to maintain the support of the business community, as it heads into the next election in 2019. The federal government will likely be encouraging all Australian states and territories to adopt similar policies and as part of the agenda for the next Council of Australian Governments meeting next month.